Identifies the 'Sea of Korea'. 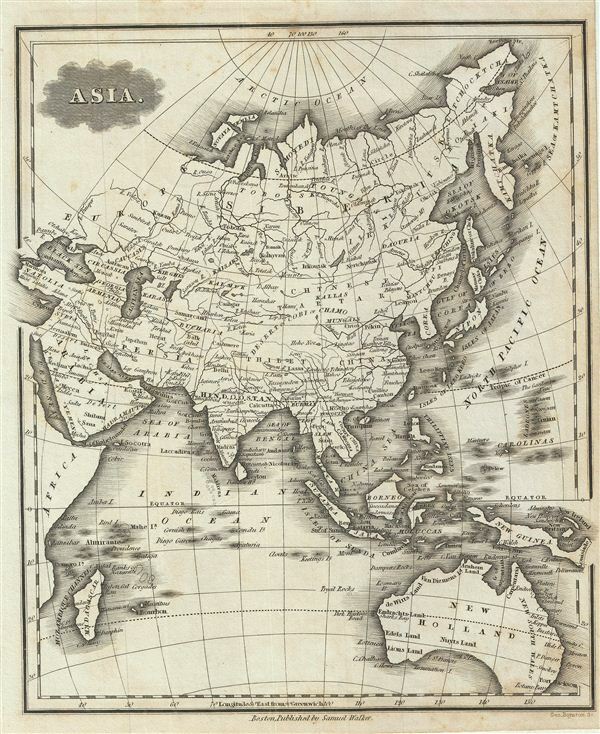 This is an attractive example of the 1828 Malte-Brun map of Asia. The map covers the continent from the Red Sea and Arabia eastward to New Guinea. Australia (New Holland) and Madagascar are also included. The Great Wall of China is identified. The sea between Asia and Japan, whose name is a matter of political debate (either the 'Sea of Korea,' 'Sea of Japan') is here settled in favor of Korea. Various, important rivers, islands, cities and other topographical details are noted. This map was published by Samuel Walker in 1828 as part of the American edition of Conrad Malte-Brun's System of Geography, Vol. I.